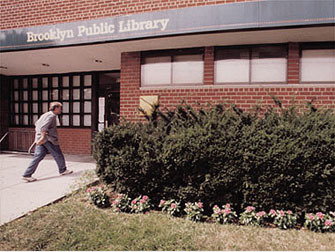 Residents opened the predecessor of Paerdegat Library in 1950 in the abandoned laundry of the Glenwood Project. Soon, supplied with a rotating collection of books from BPL Extension Department, the popularity of the library-in-a-laundry made it clear that the community needed Paerdegat Library: Paerdegat outgrew its location in Glenwood Project. In 1962, it moved to its present location which was leased and renovated for the Paerdegat community.